Your favourite design printed on a Samsung J8 personalised case with scratch-resistant ink. Stand out with and design your own Samsung Galaxy J8 case. It only takes a few minutes to make your own Samsung Galaxy J8 case. Hard cases are always an amazing choice because they won’t make your smartphone bulky and change its look-and-feel. Nevertheless, they still offer a great level of protection. With a Samsung J8 custom case, you can even combine protection with your favourite design and get a perfect all-in-one solution. You can use your favourite vacation picture, family portrait or a cute photo of your pet — the possibilities are endless. Sounds great but you are not really confident in your design skills? 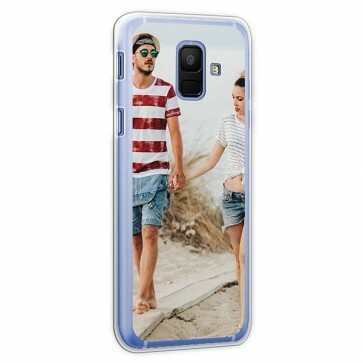 Don’t worry, creating a Samsung J8 personalised case is easier than you think! It has never been easier to make your own Samsung Galaxy J8 case! With our user-friendly customizer, all you need to do is to follow a few simple steps. First of all, your chosen design for your custom case needs to be uploaded to the design module. To do so, you can either import it from your device or a social media account. Just go with the option that works best for you. Once uploaded, you can start editing your design for the perfect finish. Apart from adjusting the size of your picture and choosing a background colour, you can also apply a filter and add stickers. For a personal touch, add a nice text or a date that is important to you. We use state-of-the-art technology to ensure impeccable and longlasting end results. 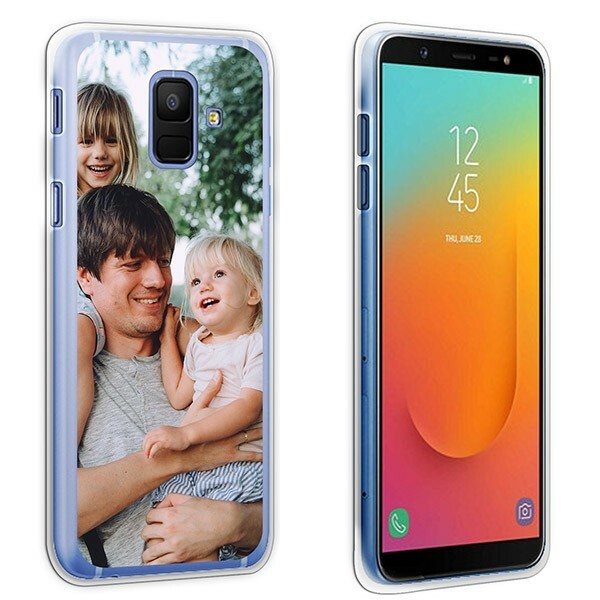 While producing your Samsung J8 personalised case, our production team will pay high attention to detail and contact you immediately if there is an issue with your design. To avoid unpleasant surprises, we recommend using high-resolution pictures and leaving a 3mm margin for all edges and openings. If you follow these guidelines, your personalised phone case will turn out exactly like you imagined it! 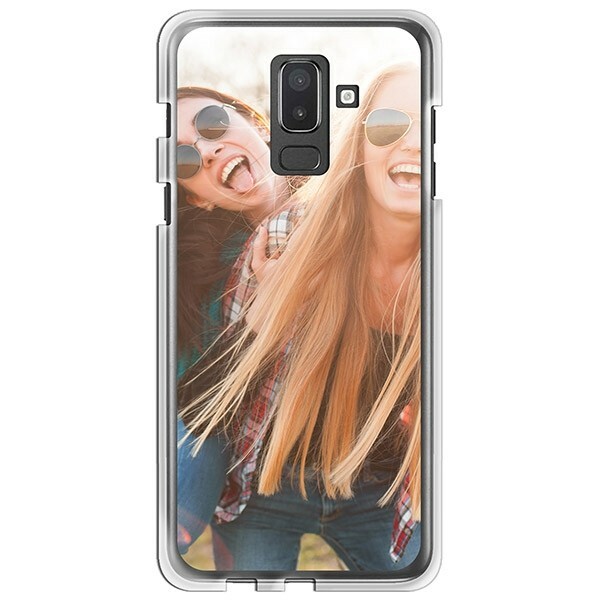 Your Samsung J8 personalised case will leave our production facility within 24 hours of ordering so that you will be able to use it as soon as possible.